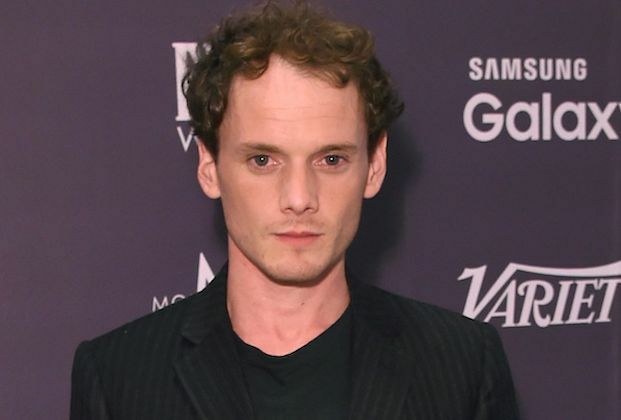 Last Sunday, the world of cinema was shocked by the death of 27-year-old actor, Anton Yelchin. His unnecessary death was caused by a manufacturing flaw of a 2015 Jeep Grand Cherokee which has led to several hundreds of the car model to be recalled. Although not the most famous actor, Yelchin was always someone that captured your attention onscreen. It’s strange to think that Yelchin as a veteran in films, but he had been acting since the age of 11 in the Anthony Hopkins film, Heart in Atlantis. I first saw him as the star of the throwback teen comedy Charlie Bartlett. The film showed that Yelchin would have fitted perfectly in the Rat Pack era of teen films displaying the awkward, nervous confidence of Anthony Michael Hall. But, Yelchin was never an actor to define himself in a singular type of role. Although it may have hinder his fame, Yelchin seemed to carefully pick each part becoming a mainstay in the independent film scene. That does not mean Yelchin avoided big blockbusters as he is best known as the newly minted Chekov in the rebooted Star Trek series (including the latest installment Beyond Star Trek due to be released next month). The most disappointing part about his death is that it is obvious that Yelchin had much more to offer. He proverbially the next star to break out, producing quality onscreen performances for years. But, it is obvious that his interests were not contained to being a film actor. Yelchin had also amassed a sizable portfolio as a photographer. His most recent collection of works appeared in collaboration with Kate Parfet in Autre Magazine. He was also a musician as can be seen as he played guitar and sang in his last film to be released while he was still alive Green Room. Cinema seemed to be his primary love. It is evident in interviews and profiles that he has given, that Yelchin delved deep into his character psyche, exploring them to get the richness of depth that is possible within a given character. His enthusiasm for the big projects to smaller indie films like 5 to 7 or Like Crazy was evident in the passion that he gave off in those roles. It is only a natural occurrence that directing and writer was in the future for Yelchin if he ever had the opportunity to. While it is a shame that someone of such promise had to die so young, this event has prompted many people who were vaguely familiar with Yelchin’s work to explore his films. His best performances are not like each other at all. In Like Crazy, Yelchin plays a young man struggling with two loves in his life. The film features performances that are mostly improvised and gives the feel of something vibrant and real. It is everything about young love from ecstatic joy to painstaking agony. In Only Lovers Left Alive, Yelchin plays a human who serves as an assistant to vampires (played by Tom Hiddleston and Tild Swinton). The film, directed by cult indie director Jim Jarmusch, allows Yelchin to play two contradicting emotions. He wants to participate in this cool world of vampires yet he cannot possibly be cool because of how much he loves it all. Finally, Yelchin stars in a film released earlier this year which also happens to be one of the best films of the year. In Jeremy Saulnier’s Green Room, Yelchin plays the front man of a punk band who gets into a precarious situation with a group of neo-nazis. It’s not often that people can say that they went toe-to-toe with Patrick Stewart but Yelchin, playing faux strength over vulnerability does so. The Buzz: Animated Films and O.J.